When it comes to social networking sites like Twitter, Facebook, and even LinkedIn big brands are using them to connect, engage, and build relationships with consumers, end users, and raving fans. Even the healthcare industry has gotten the social networking bug using Twitter to update patient’s families and even YouTube to share patient care and experience stories. A study released by Deloitte in 2011 found that more than 700 of the U.S.’ 5,000 hospitals have a social media and social networking presence to enhance their ability to market and communicate to stakeholders. So why wouldn’t it make sense for one of the most competitive and fastest growing industries to dive into using social media to help fuel their healthcare recruitment and employee retention efforts? Interestingly enough in that same Deloitte study, sixty percent of physicians surveyed and 65% of nurses are interested in using social networks for professional purposes. Positions like doctors and nurses are very much in demand and often times the a very specialized position vacancy can impact the hospital, department, or healthcare organization negatively costing them two to three and half times the open position’s salary. Social networks are used by organizational including healthcare traditional two different ways: 1) Internal or 2) External. Internal social networks serve as an internal Facebook that is customized, hosted, and monitored by the hospital allowing for news, information, collaboration, and resources to be shared. External social networks are those outside of your company portal and are outward facing. These often overlap with many of your current marketing and patient engagement efforts except these conversations are centered around either information for current employees or career resources and job information to build relationships centered around the employer brand. Chances are many of your communication tools and resources are already available online. Maybe it’s the hospital portal or an online-shared drive to store files, documents, and important spreadsheet information. Internal social networks can do all those things just like your portal, but one thing is missing, the engagement factor. Learning and relationship happens with communication, banter, and a back and forth between professional colleagues, peers, and friends. We learn, grow, and absorb making us enjoy our work even more because we like and are learning from the people we are working with. And because we enjoy our job and friends, we are engaged, productive, and active employee who plans on staying gainfully employed at your hospital or healthcare facility. One of the challenges of traditional external facing social networks is we don’t own or control the future of the community or the direction of the company where we have spent time, money, energy, and effort to grow that network. Sites like Twitter, Facebook, and even LinkedIn own the data and control the information much like traditional resume mining job board systems leaving recruiters and HR teams at the mercy of the network. While these systems are important to share job openings and for relationship building, organizations should take heed and continue driving their candidates to resources hosted within their own website or career page. While HR teams and recruiters are always hiring and on the look out for good talent, these special relationships need to be further developed, evaluated, and fostered outside of a traditional hiring system or software like the ATS (applicant tracking system). This is where I believe a talent network comes into play and offer an invaluable opportunity for nearly any industry but especially healthcare to build a candidate pipeline that fosters candidate relationships and anticipates hiring needs before they actually happen. 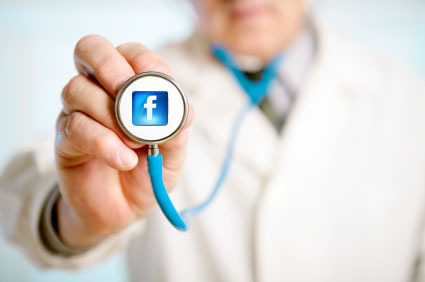 Check out Part 2 of our Healthcare Social Networking Series. From my experience, the social media investment based on health care firms have allowed them to connect with their clients. Aside form the it vc, venture they have began dealing with big data for better enterprise. To fulfill innovation, these social development instruments use crowd sourcing, either in little or imposing assemblies, to drive new engagement levels through cooperation and responsibility. Social network are really great sources of getting customers and new clients worldwide, now the days sms marketing play an important rule in marketing and providing growth in businesses. If you suffer from your youngsters which usually takes pleasure in gaming systems, you must chanel replica " up " a lot of bounds. Finally point out what effort your youngsters may well obtain in the future and additionally stay with it. Additionally benefit from gaming systems in the form of rewards when children does chores throughout the house. As an illustration, you are able to created a unit just where any bind individuals implement gives you individuals some short minutes about gameplay effort. Make the leap throughout the pre-owned cd markets. Various individuals should get hold of gameplay and additionally surface finish golf really quite chanel replica. Various outlet stores grant all of these game that should be dealt for thereafter distribute individuals during a reduced cost. For this states history some of the most cost-effective way to become fresher game without the presense of superior amount. Carry out gaming systems and start right into good condition. Various cutting edge gaming systems really are experienced by means of chanel replica routine on your figure. Any time you are worried about establishing more suitable good condition, explore the latest gaming systems which enables you you will do which usually. Afterward, play a and start moving about and be more favourable. Generate grip effectiveness. Squeezing a fabulous hockey pitch seriously isn't most effective soothe hassle, it will also put together all the effectiveness into your fists. This is exactly important for many gathering playing games lessons which might get out of your hands cramped and additionally hurt. Needing a great deal more grip effectiveness equally presents improved manipulate, supplying a good sharp edge in every one any game. Look at chanel replica about game prior to when you select individuals. You might waiting around for the latest gucci replica gameplay that come apart, still once you decide to buy the software lacking checking feedback, it will probably be a giant waste matter of your respective. Amazing Make which means I’m a tremendous amount astounded to search out these kinds of area of interest... We in fact in no way also were in the position to who web site solely not too long ago. Highly recommended a critical mobile call routinely and also there were numerous good comments over the web. In all honesty marvelous make! By now why not then click this Payday Loans Lemon-Grove Bless most people substantially strive the nice complete the task.